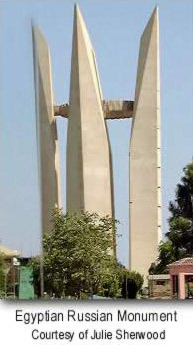 Located near Aswan, the world famous High Dam was an engineering miracle when it was built in the 1960s. It contains 18 times the material used in the Great Pyramid of Cheops. The Dam is 11,811 feet long, 3215 feet thick at the base and and 364 feet tall. 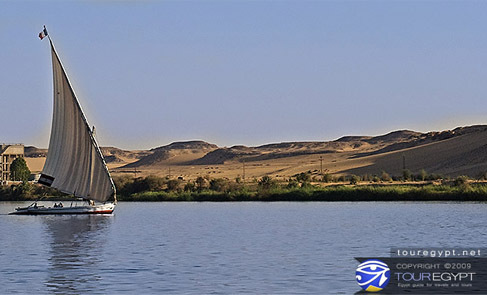 Today it provides irrigation and electricity for the whole of Egypt and, together with the old Aswan Dam built by the British between 1898 and 1902`, 6km down river, wonderful views for visitors. From the top of the two Mile long High Dam you can gaze across Lake Nassar, the huge reservoir created when it was built, to Kalabsha temple in the south and the huge power station to the north. The High Dam created a 30% increase in the cultivatable land in Egypt, and raised the water table for the Shara as far away as Algeria. 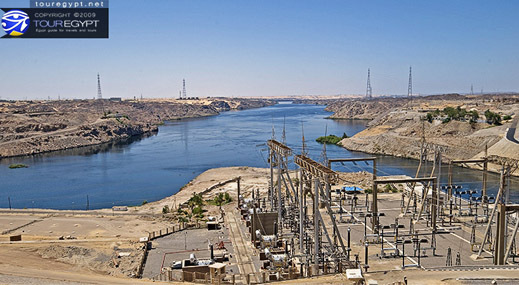 The electricity producing capability of the Dam doubled Egypt's available supply. The High Dam added an whole new aspect to Egypt, and a new environment as well. The lake is some 500 miles long and at the time it was built, if not now, was the world's largest artificial lake.